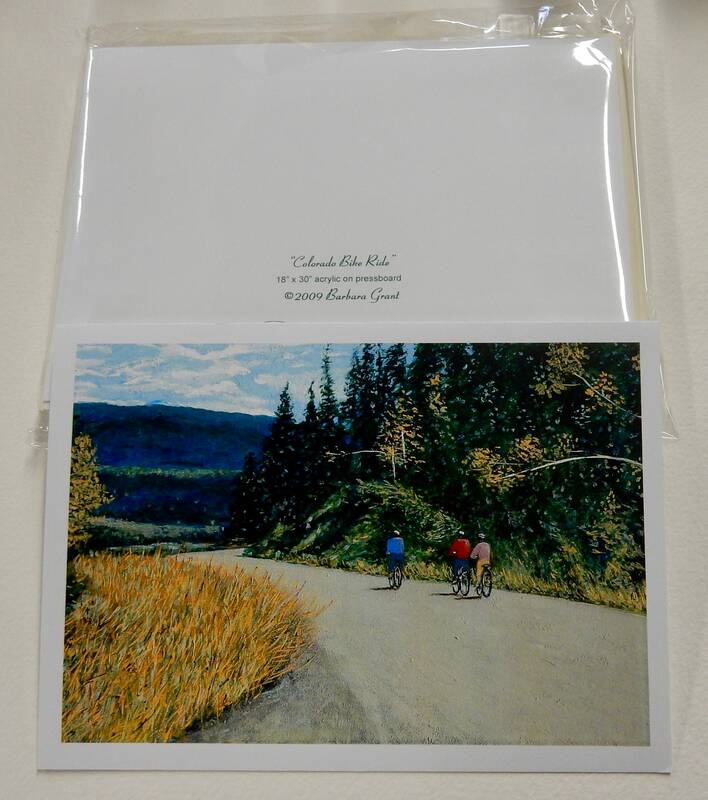 Set of 6 Notecards of "Colorado Bike Ride"
6 blank notecards measuring 5" x 7" with cream envelopes. 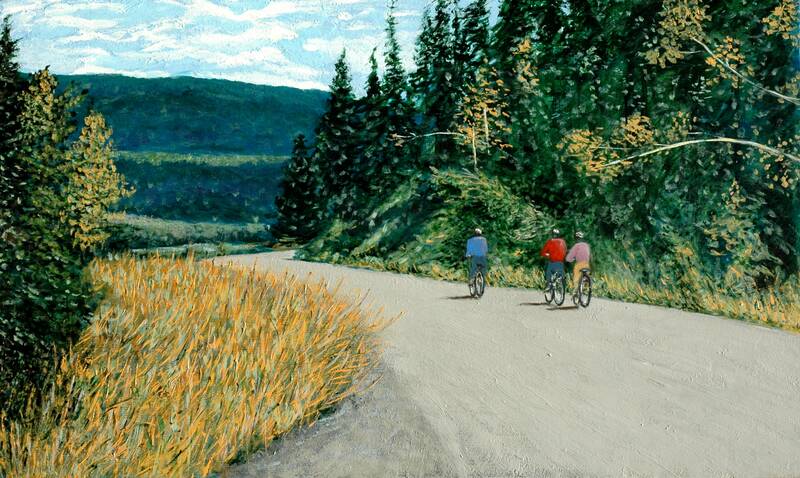 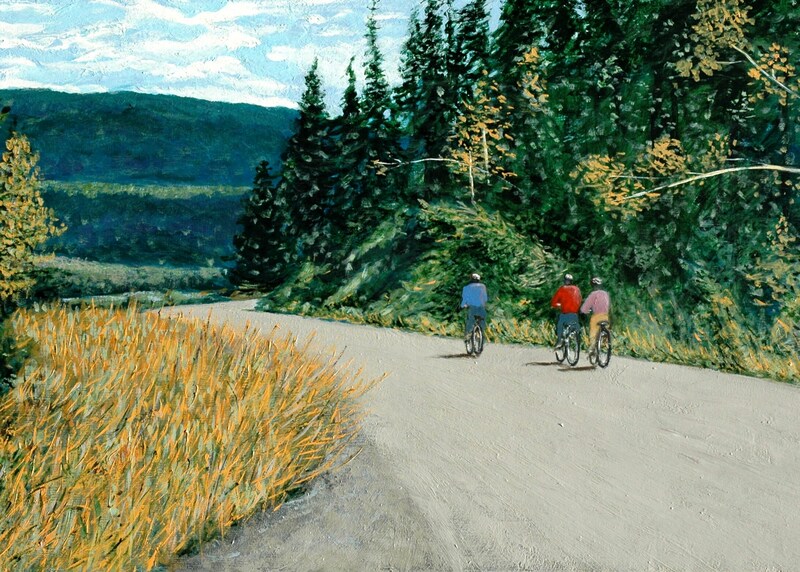 The image is from my original painting entitled "Colorado Bike Ride"
Colorado Bike Ride is a painting I did after going on a girls trip with my sister and our two friends. 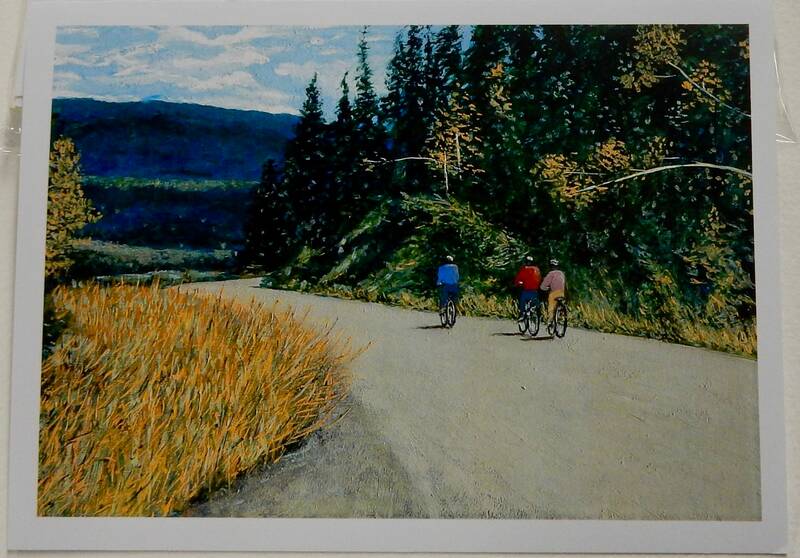 We stayed in a condo up in the mountains and did a lot of hiking and biking. 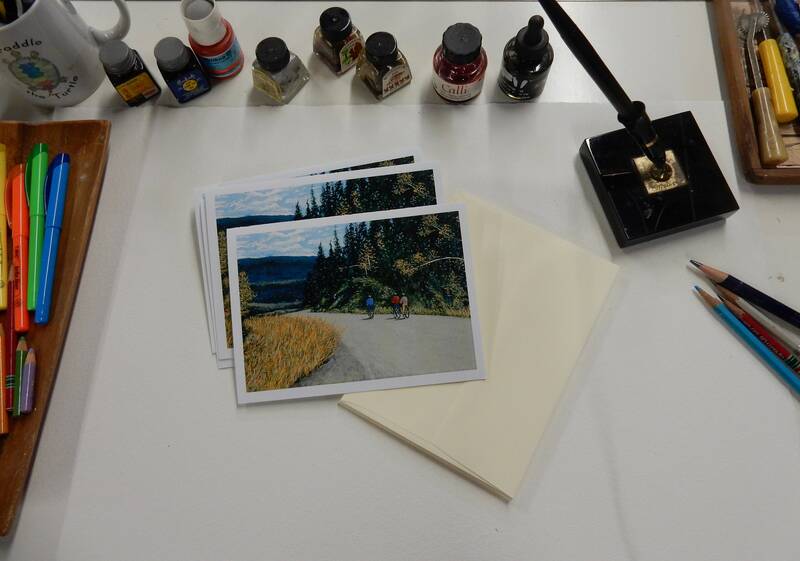 Wonderful memories!